Arrival at Jabalpur Stn at ……… hrs. Taxi will pick you up & leave for Kanha. Overnight stay at Kanha. After breakfast checkout the Jabalpur Hotel. Catch the Train at 12:00 Hrs. Arrival at the Pipariya Railway station at 14:20 Hrs. Taxi will be waiting for you & will take to you straight to the Pachmarhi Hotel. Reach Pachmarhi and check in to a pre booked hotel. As the journey was too long, relax have your Lunch. Enjoy the evening admiring the beauty of this place. Overnight stay at Hotel. After completion of breakfast, Now Your trip is entirely dedicated to WATER FALLS. 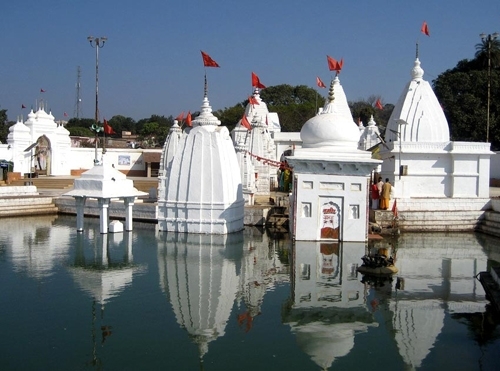 This beautiful hill station of Madhya Pradesh is dotted with numerous fantastic places such as : BEE FALL, PANCHALI KUND, REECH GARH DHOOPGARH (SUNSET POINT), Etc… Come back & overnight Stay at hotel. After Breakfast leave for sightseeing PANDAV GUFA. HANDI KHO, Gupt-Mahadev , Bada Mahadev, Jata Shankar….etc. Come back & Evening will be for leisure activities., Overnight Stay at hotel. After heavy breakfast leave Pachmarhi to catch the train from Pipariya Station to depart your destination. After completion of breakfast, Now Your trip is entirely dedicated to WATER FALLS. This beautiful hill station of Madhya Pradesh is dotted with numerous fantastic places such as : BEE FALL, PANCHALI KUND, REECH GARH DHOOPGARH (SUNSET POINT), PANDAV GUFA. Etc… Come back & overnight Stay at Resort. After Breakfast leave for sightseeing HANDI KHO, Gupt- Mahadev , Bada Mahadev, Jata Shankar, Priyadarshni, Lovers Point, Lake….etc. Come back & Evening will be for leisure activities., Overnight Stay at Resort. After Heavy Breakfast leave Pachmarhi to catch the Train for your destination.